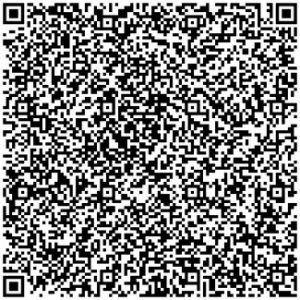 This is our basic Terms of Service for Residential Property Check Patrol Services. For mobile security patrol or home watch services, please contact us for a custom quote. Thank you for choosing All Cape Security Patrol. Please review and accept the following terms of service. By ordering any security patrol, property check, wellness check, or other related service from All Cape Security Patrol, you acknowledge that you are the owner of the property to be checked by the patrol, or you are an authorized agent of the property owner and have the authority and permission to order such services for the property and that you can authorize the activities of security patrol units on the property. If you are ordering a wellness check for persons at the property as part of the patrol service, you acknowledge that All Cape Security Patrol’s security patrol wellness check service is not a police, fire, or emergency medical service. 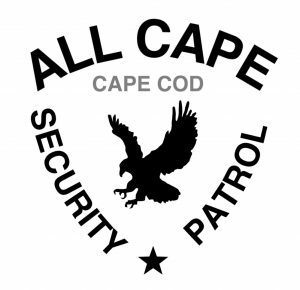 You also acknowledge that the services provided by All Cape Security Patrol are not designed to be a replacement for police, fire, or emergency medical services. If there is an emergency or a crime in progress call 911 immediately to notify the proper emergency services. If you have any questions about any of our services, please call us at (774) 383-2030. Pricing of patrol services includes the agreed upon security patrol/property check inspection and reporting time only. Any additional time required on scene due to the discovery of an incident that cannot reasonably be resolved or other circumstances that require more time than a normal patrol check will be billed at an agreed upon additional hourly rate per patrol unit. Incidents that may require additional time on scene may include but are not limited to: securing the property until police arrive after the discovery of possible criminal activity on the property, securing the property until the owner, a caretaker, a property manager or contractor can arrive to repair damage that compromises the security of the property, etc. The security patrol agent will contact the property owner or an authorized representative (caretaker, property manager) upon the discovery of any issues or situations that may require additional time on the property and will stay on scene if requested and approved to do so by such an authority. If no one can be reached right away, the appropriate action will be taken by the patrol unit keeping in mind the property owner’s best interests. Special weather circumstances and/or conditions at the property at the time of the patrol check may make patrol checks more difficult and require more time to complete. Examples of this would be that the property is not readily accessible by vehicle due to a locked gate, or is not clear after a major snowstorm and snowshoes are needed to access and check the property. Patrols and property checks requiring more than reasonable time to complete will be billed at an hourly rate per patrol unit. Forces beyond our control like severe weather, storms, road and traffic conditions may affect response times for priority patrols and property checks. If you need PRIORITY level service for immediate response, please call (774) 383-2030 right now. The owner/homeowner/authorized representative hereby agrees to indemnify and hold harmless All Cape Security Patrol, its agents, representatives, and employees from any all liability that may result from all damage suits or claims in connection with provision of the services described within this agreement, and from all liability for injuries to persons or property suffered or sustained by any person whomsoever, and to carry adequate homeowners or property insurance to protect the interest of parties hereto. All Cape Security Patrol will not be held responsible for any damage to the property or items missing, switched out, lost, damaged or stolen under any circumstances including but not limited to theft, vandalism, negligence of invited or uninvited individuals, or acts of nature. Every effort will be made to oversee your property but, All Cape Security Patrol cannot protect from break-in, vandalism or other acts of nature. We do not anticipate problems, but we will do our best to immediately inform you of any instances should they occur. Pursuant to this agreement, the client grants All Cape Security Patrol access to the premises and All Cape Security Patrol shall take reasonable precautionary steps necessary to protect the property during the term of this agreement. The client, however, shall indemnify, defend and hold All Cape Security Patrol harmless for any and all damages, activity, or injury to the premises which is not directly caused by the willful and intentional act(s) of All Cape Security Patrol.